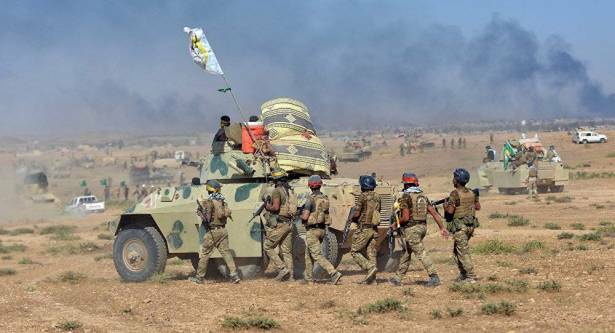 The intelligence of the Iraqi Popular Mobilization Units (PMU) militia obtained information that the leadership of the Daesh terror group, outlawed in Russia, ordered its militants to burn down headquarters in Tal Afar and to hide in residential houses, the PMU said in a statement. "The enemy ordered the militants to set the headquarters on fire and to escape from open areas in Tal Afar, hiding in buildings and narrow streets instead of that," the statement said. The launch of military operation to retake Tal Afar, the last Daesh stronghold in Iraq after Mosul, was announced by Iraqi Prime Minister Haider Abadi and began on August 20. In 2014, the Daesh terrorists launched a full-scale offensive against Iraq, seizing a number of cities and towns including the second biggest Iraqi city of Mosul. The Iraqi operation to recapture Mosul began in October 2016 and resulted in the city’s liberation in July.